Hi my name is Emma! I would like to raise money for the Water Project because some people in the world do not have the privilege of drinking clean water every day as we can . In my Socials Online course, we have learned about water and we are supposed to do a project to help in some way with this big challenge in the world. Will you join me as I take on the Water Challenge? We can do it together! 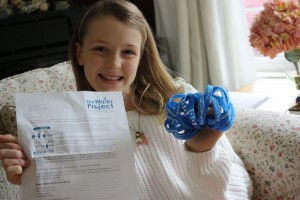 05/22/14 Anthony Frigon $46.00 Thank Yo Emma for raising Natalie and Tony's awareness of global water issues! 05/14/14 Laura Jones $23.00 God Bless your efforts Emma!